With our extensive knowledge on Magento, eCommerce, conversion rate optimization, we can deliver exceptional and great looking websites for businesses. The web has emerged as one of the excellent platforms for direct sales. However, getting business in this rapidly growing industry is a big challenge. 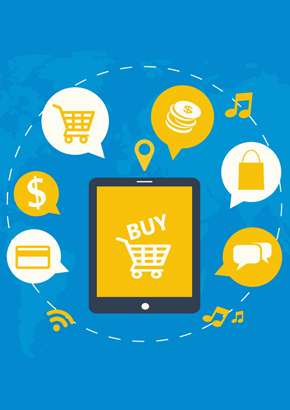 Ecommerce web development services in Delhi NCR urges to make a strong mark in the online world, you need a great looking e-retail portal, specifically made to engage customers and drive sales. As one of the leading ecommerce web development service providers in Delhi NCR, we can assure you with a feature-rich user experience and excellent manageability of content. Your website will have a shopping cart to simplify the process of shopping for your users, while you can easily update the changes using Content Management System. Our website design and development process starts by understanding your target audience, and the value we will add in their lives. Next, we quickly make a list of the requirements and create specific strategies to achieve them. In this phase, our experts focus on navigation map, functional design and UEX guidelines. Based on your competitor’s website, our experts come up with an engaging and appealing layout. Hired a bunch of skilled and experienced professionals to work on HTML templates & applications front-end. From application content migration to SEO pages synchronization, performance & load testing; we test everything before launching the website.